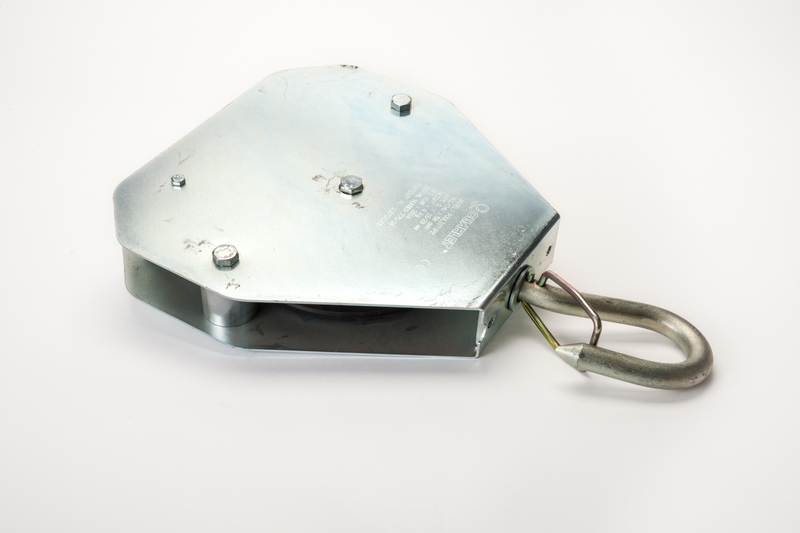 An improved version of the ever reliable Gin Wheel which incorporates a sliding plastic brake which is locked, unlocked by the user acting on the rope. Very strong, zinc coated construction requires little maintenance and can be cleaned with water, no lubrication with grease etc is required. George Roberts Auto Braking Gin Wheel complies with Machinery Directive CE2006/42.